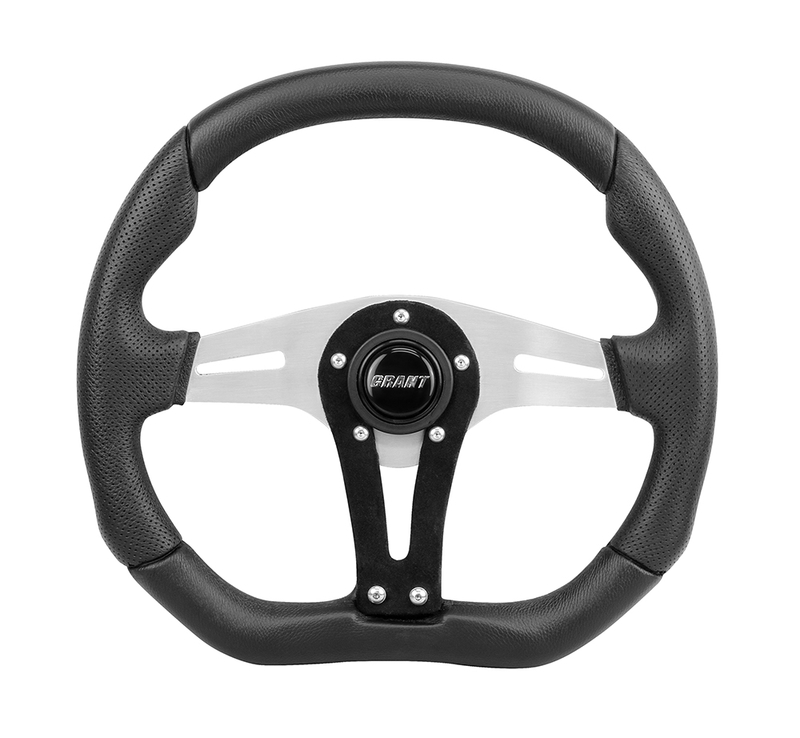 Summit Racing now carries Grant’s D-Series Steering Wheels--an excellent choice for the dedicated track car, weekend autocrosser, or Pro Touring build. Grant wraps the steering wheels in super-durable polyurethane, which will withstand the wear and tear of regular aggressive driving. More importantly, the contoured grip is easy to grasp, promoting excellent driver control. As an added bonus, Grant D-Series steering wheels are flat across the bottom to allow easer entry and exit. The D-Series steering wheels feature three aluminum spokes that come in one of six different anodized colors: silver, black, orange, yellow, blue, and red. The wheels measure 13.75 x 11.75 inches, with a 1.5 inch dish. Each wheel includes a Grant horn button.